National Geographic released an Albert Einstein chatbot called Genius on Facebook Messenger. It is designed to give you an opportunity to converse with one of the most gifted scientific minds to exist. Will the chatbot live up to your expectations or is it just a marketing gimmick? Let’s find out. The chatbot is based on National Geography’s new show called Genius which gives you an insight on one of the greatest scientist’s to have walked this world. It shows you how Albert Einstein tackles relationships and theoretical physics in an increasingly hostile and dangerous political world. To activate the chatbot, you need to select Get Started. The chatbot will introduce itself and give you the schedule for National Geography’s show Genius. The chatbot will ask you about your well-being and it will tell you how it is feeling. The chatbot will ask you what you want to discuss in the field of science. One of the best features of the Genius chatbot is that the developers designed it to understand natural language. You don’t have to only respond by typing in keywords. In fact, you can have a conversation with the Genius chatbot. For example, when the chatbot tells you about the show, it ends the sentence with socks are optional. You can ask the chatbot why socks are optional and it will respond accordingly. Genius chatbot loves to chat and its replies are witty while dropping bits of wisdom at the same time. At one point, the chatbot cracked the following science joke “What is artificial light made of? Fauxtons.” You can have a conversation with the chatbot about any topic in science. For example, when the chatbot asks you what you want to talk about, you can ask it about black holes. The chatbot will give you a prompt reply and then move on with the conversation. You will get to know more about the life of Einstein such as his taste in music, his wives, and more. 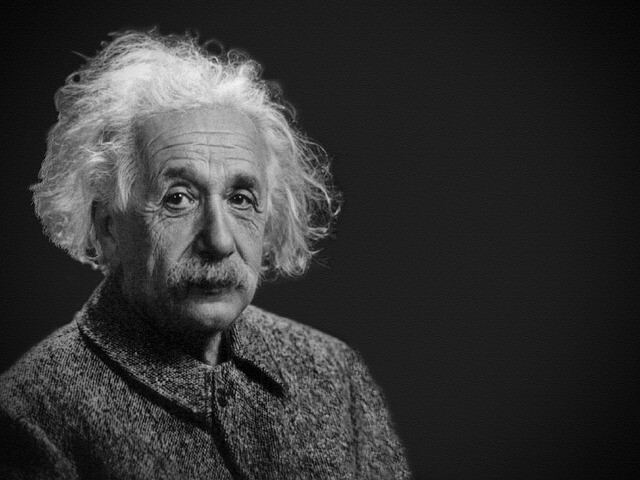 Genius will tell you everything about the wives of Einstein. It will tell you about his first sweetheart Marie and one of his most enduring affairs, Lina. You may think that Lina was his second sweetheart, but in reality, it was the name of his violin. You also get to know about Einstein’s love for music. The chatbot will tell you how much Einstein loved Bach and Mozart. You can also ask it about its views on the world. For example, if you ask Genius about the great war, it will tell you that it was always a pacifist and it doesn’t believe in being a brute force to resolve international conflicts. You can ask the chatbot about its favorite scientists, whether you are talking to a ghost or even what it thinks about the internet. All in all, Genius is one of the best-designed chatbots available at the moment. The chatbot understands natural language and responds according to what you have to say. Genius is a master conversationalist and you can talk about any science related topic. It is witty and it will try to crack science jokes while it is casually conversing with you. At any point of the conversation, you can ask it unrelated questions and it will respond to it accordingly. Overall, you get to see a different life of Albert Einstein. It doesn’t even feel like you are talking to a chatbot. It feels like you are conversing with Einstein himself! You should give Genius chatbot a try of Facebook Messenger. After spending a couple of minutes with it, you won’t ever feel like stopping.